The All New L5 Series has a Bright Tambre and Full projection a Beloved Ukulele in the Kamoa® Family of Products. The Top End Projection is Light, Fast and Powerful and the Trebles Sparkle with Great Clarity. The L5 is Ideal for Finger Pickers or Strummers of Any Skill Level. A Kamoa Staff Favorite! The All New Kamoa® L5 Tenor all solid Spruce Sound Board and Walnut back/sides, a Kamoa Staff Favorite! The Spruce and Walnut tone-wood body provides a deep BASS response and brilliant clear treble side projection. Nicely Appointed with a Maple neck and bridge gives the L5 a silky smooth, ultra-fast playability. 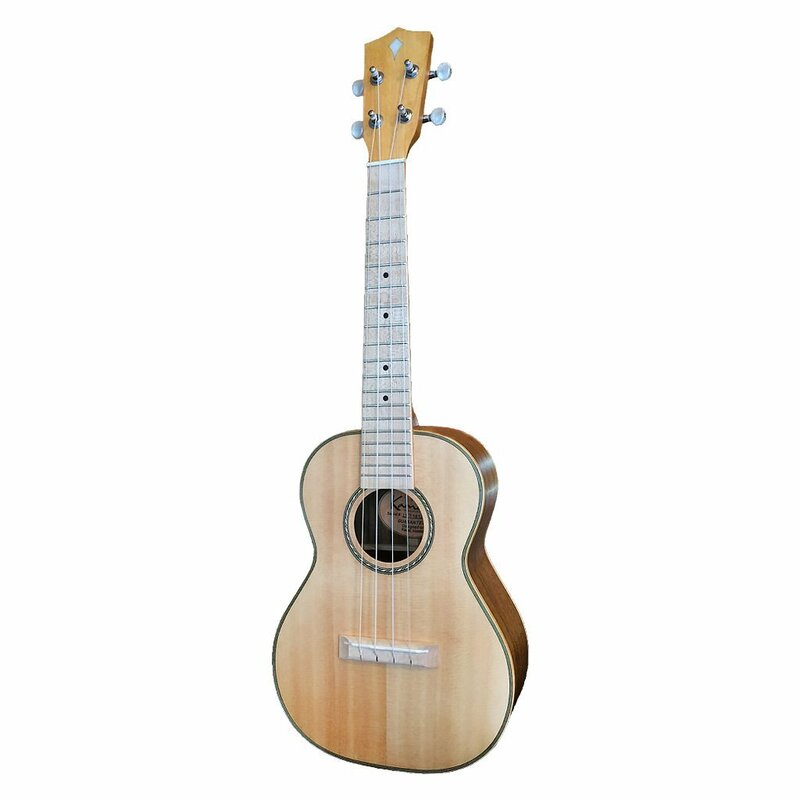 The L5 is ideal for finger-style pickers or strummers of any skill level. The all new L5 Series has a distinctly bright yet powerful tambre and the trebles sing with great clarity. the Kamoa® L5 is brighter than the Cedar E5 which is a darker wood toned projection. The L5 Spruce/ Walnut also has a full tone with bigger BASS response than the M5 Series (Low G available and recommended). Kamoa® L5 offers an ultra, light-weight feel giving you the best player experience. The L5 has earned a well-deserved place in the Kamoa® family of products. Get yours today while supplies last, step up your ukulele game...you're going to love your Kamoa® The most comfortable, playable ukuleles for adults and children.